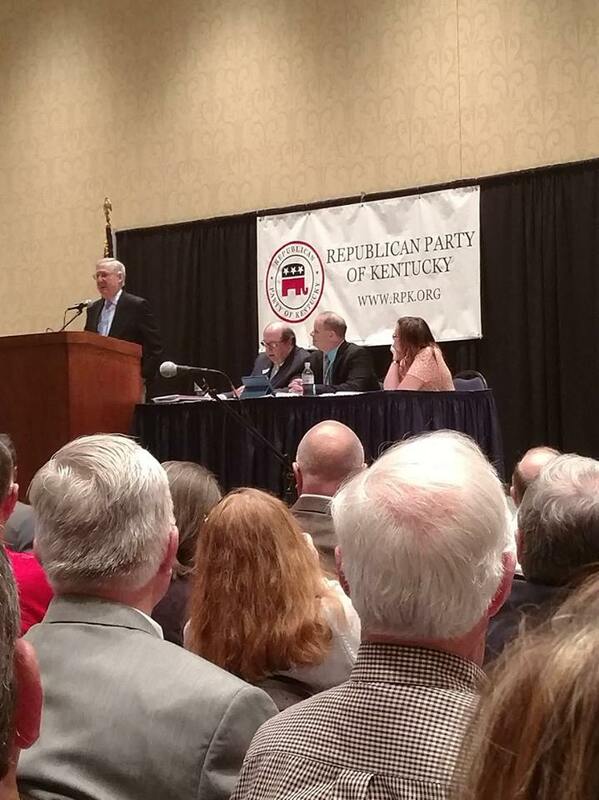 Senator Mitch McConnell makes opening remarks at the 2016 Kentucky Republican State Convention. 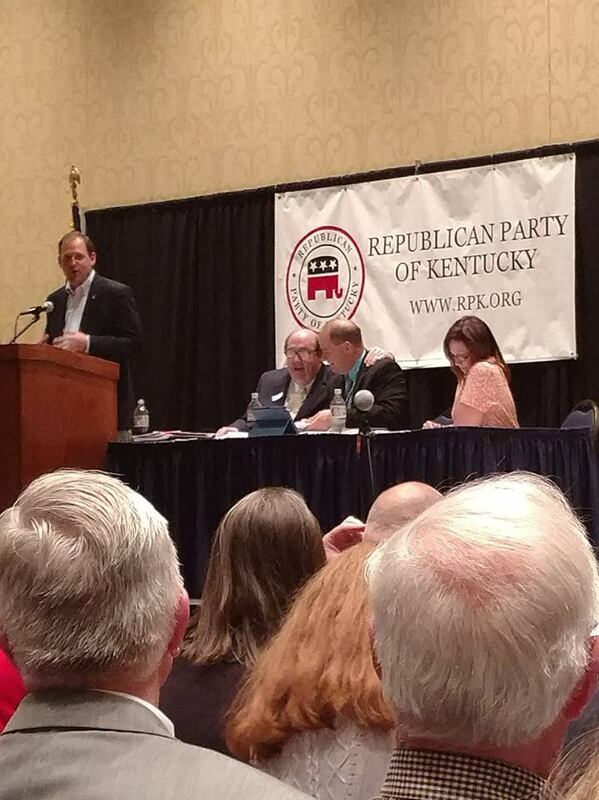 The 2016 Kentucky Republican State Convention was held Saturday, April 23rd in Lexington. 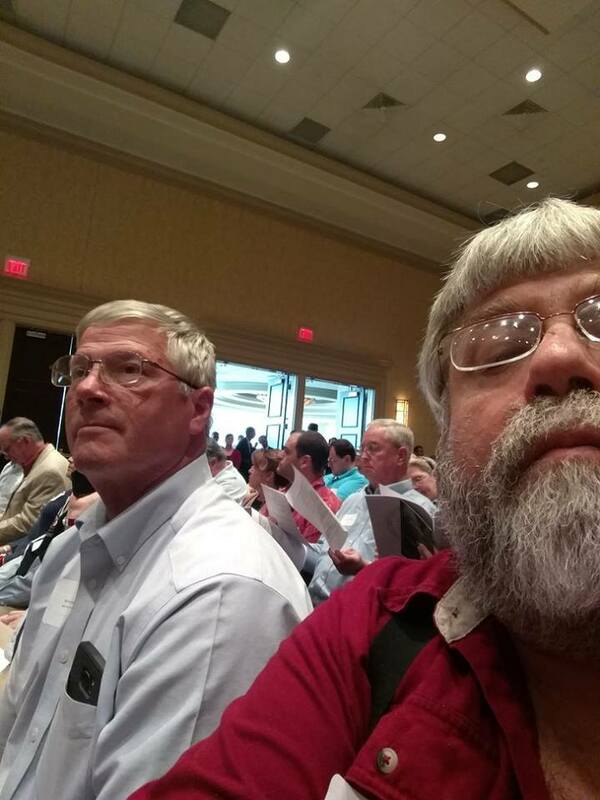 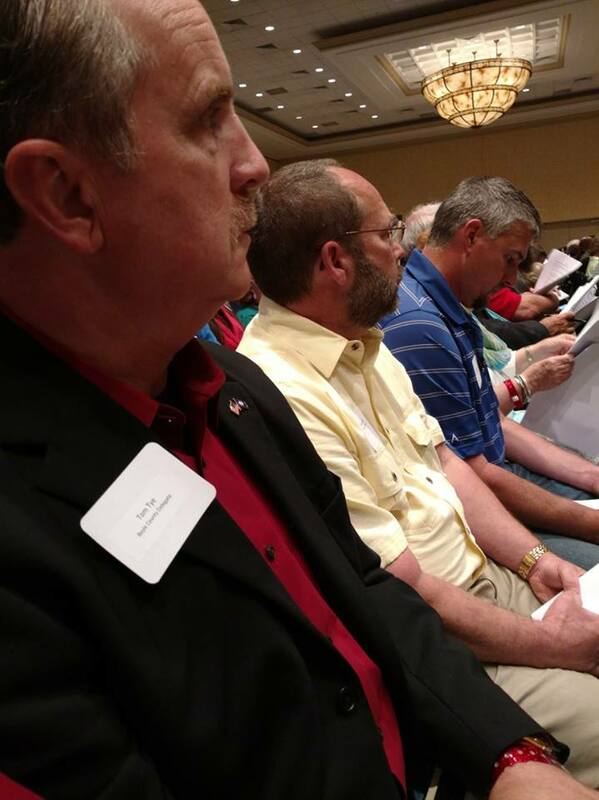 Attending as delegates from Boyle County were Mike Harmon, Bernie Hunstad, Stephen Knight, Tom Tye, and George Coomer. 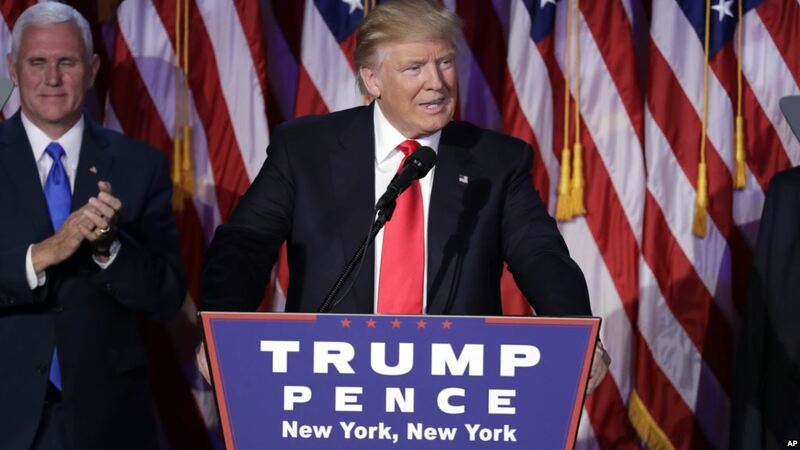 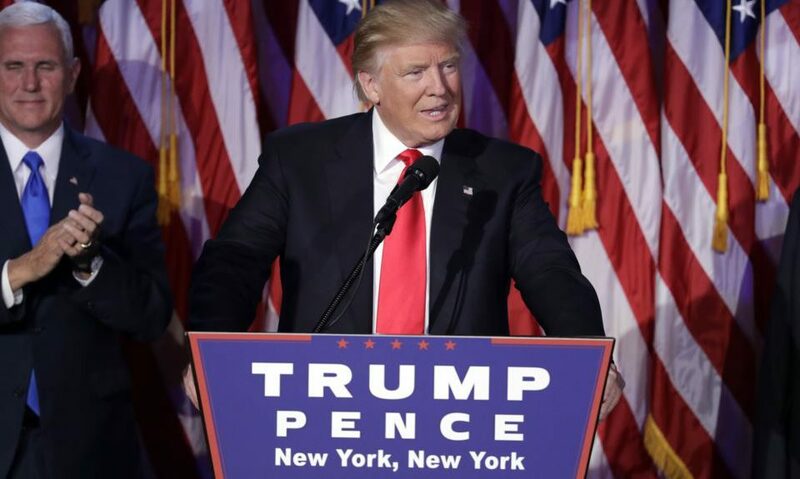 Although several items were on the agenda, the most important was the selection of delegates to the 2016 Republican National Convention this summer in Cleveland, Ohio. 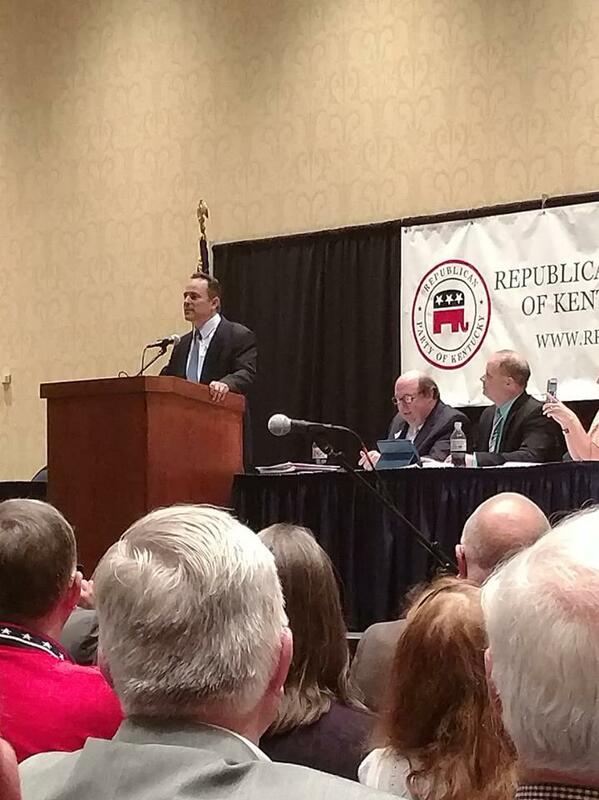 Of the 2,472 total Republican delegates at the GOP National Convention, 46 will represent the state of Kentucky. 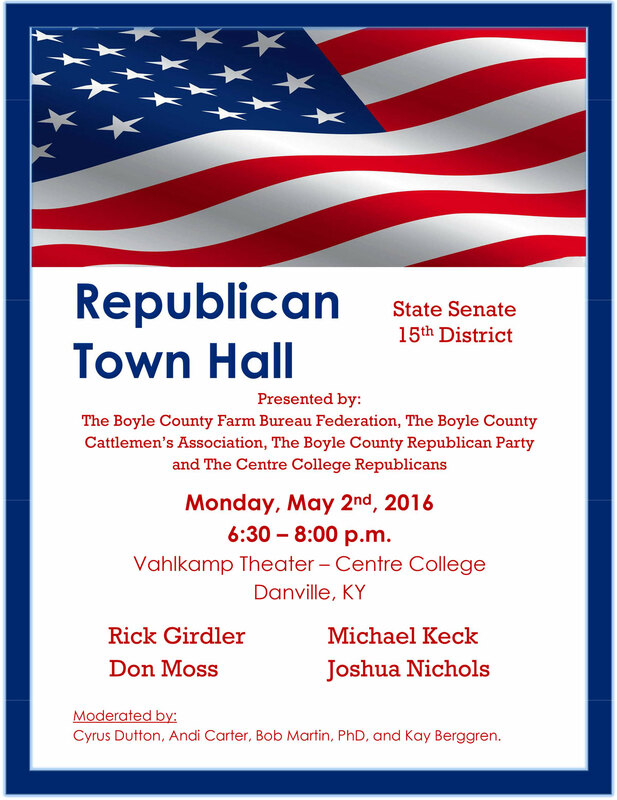 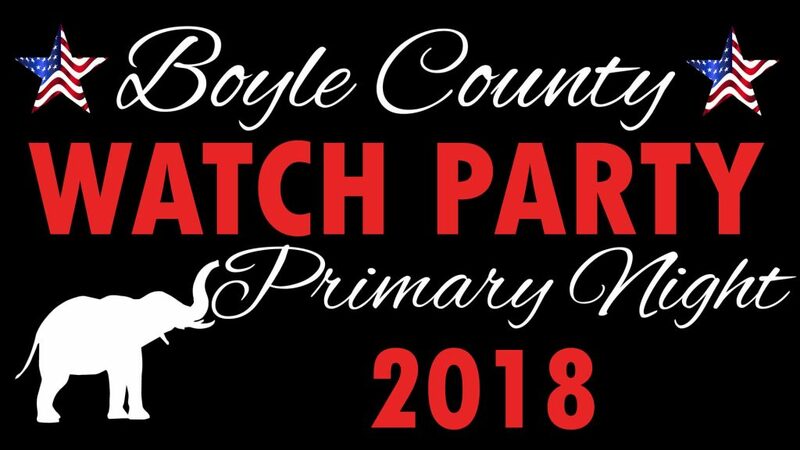 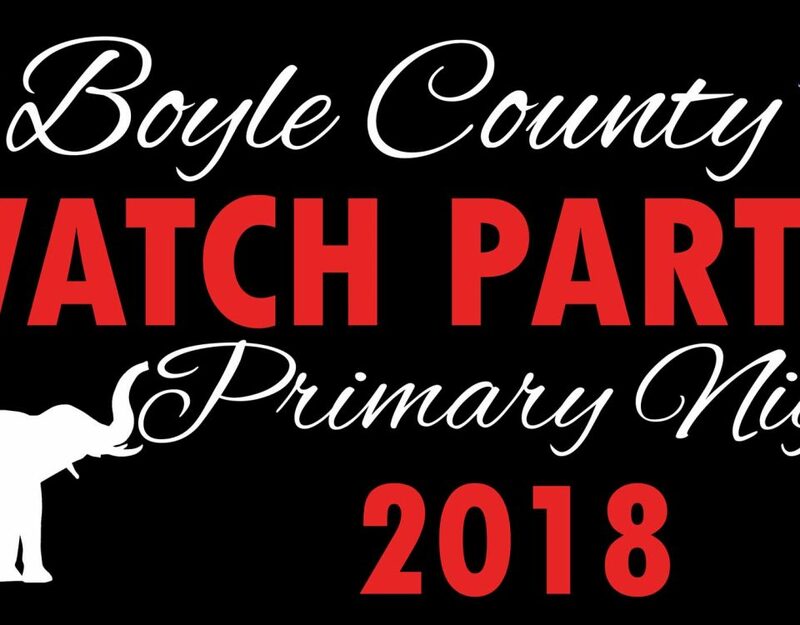 On the list of delegates, there are four individuals either from Boyle County or with Boyle County roots: State Auditor Mike Harmon, Tom Tye, Laura La Rue (Crawford) from Hardin County, and Carol Rogers (Goggin) from Fayette County. 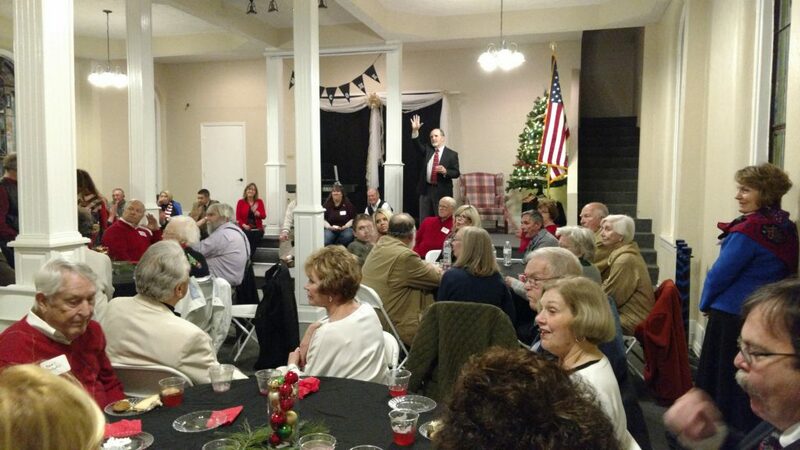 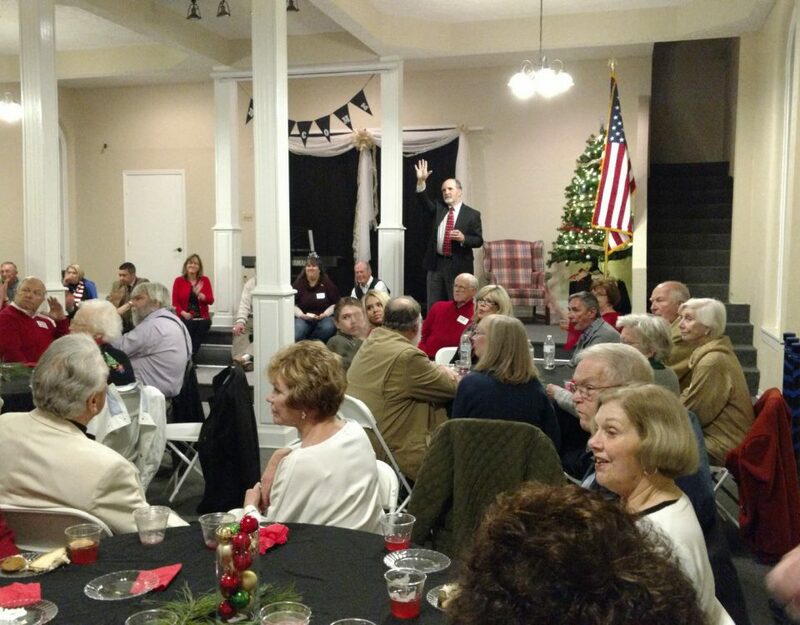 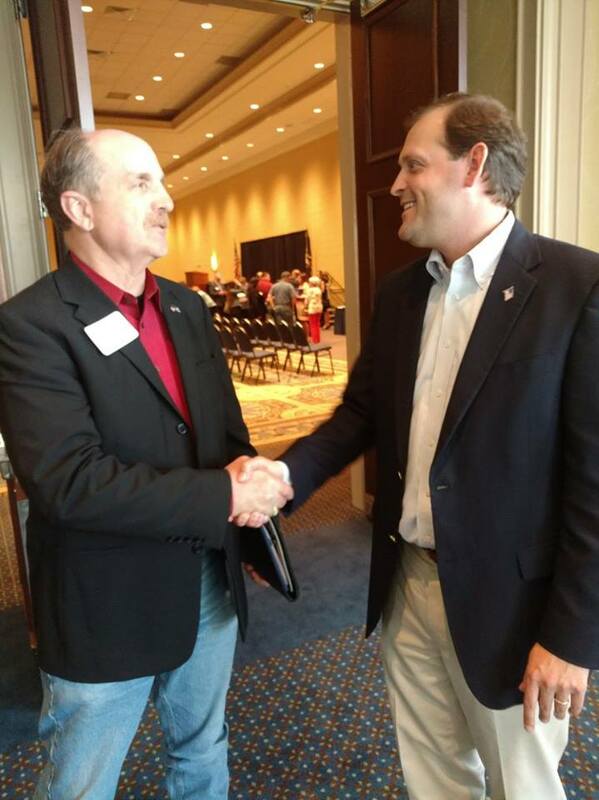 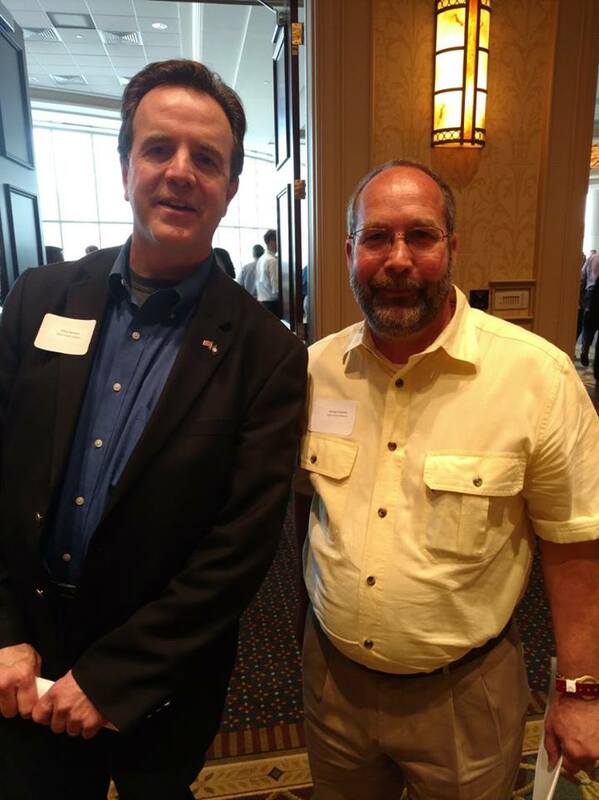 An album of all photos taken at the convention by Boyle County Delegate Stephen Knight can be found on the Boyle County Republican Party Facebook page. 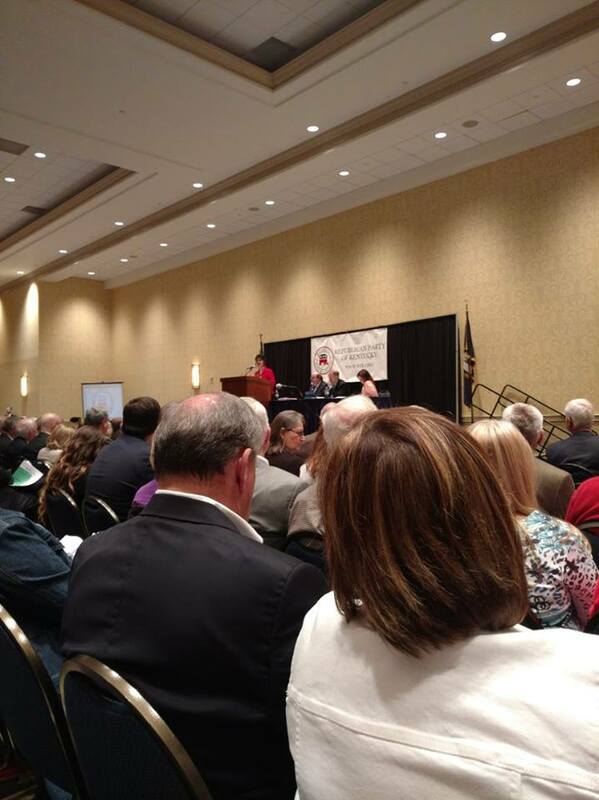 Kentucky State Representative Kim King opens the Convention with prayer.